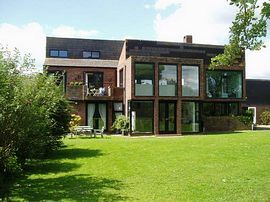 Contemporary, ground floor, B&B apartments on the River Arun, in historic Arundel, close to Castle, cathedral, restaurants, shops and station. 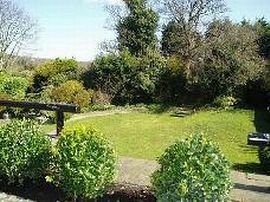 At the foot of the South Downs, in the heart of West Sussex, 5 miles from the coast. 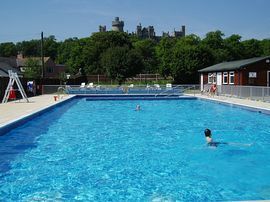 Ideal location to access Brighton, Chichester, Portsmouth and just 90mins. from London. Off-road parking, gardens, children and dogs welcome. 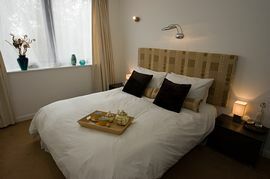 Each apartment/suite can sleep 2-5, fully equipped, Freeview and Free WiFi Internet access. Altogether fantastic value, quality accommodation in a great location! 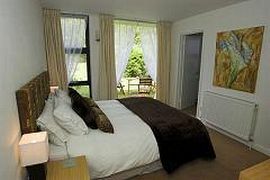 Self Catering also available if preferred. Pet Facilities: Pets are allowed. In Tarante. Smoking Facilities: Smoking is not allowed. Outside areas only. Disabled Facilities: There are no disabled facilities. Ground floor accommodation. Please see guests' comments on our website. By Car and Foot From Arundel Station - From A27 (East Roundabout)2nd. Exit into the Causeway towards Arundel Town. Second on the Right. By Car from A27 (West). Onto Arundel Bypass, at second Roundabout take First Exit into The Causeway towards Arundel town, and second drive on the right.